I bought this to replace my original generation ghd straighteners, much loved and used for over 10 years. Having read some reviews about the new platinum styler I thought I'd give it a go but was sceptical how much better than the original it could be. 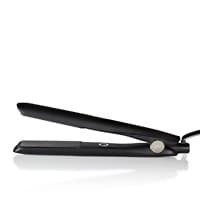 I've been blown away by the brilliance of this product, it heats up super fast and is effortless to use. Feels much less damaging to the hair but achieves a super glossy finish even on my white blonde dyed hair. 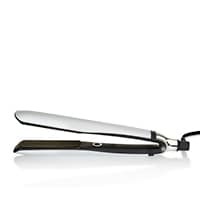 There is no pulling or snagging on ... read more the hair, it's lighter to hold and glides like a dream. 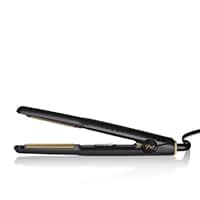 I'd definitely recommend this product and anyone with an older style straightener should consider an upgrade. 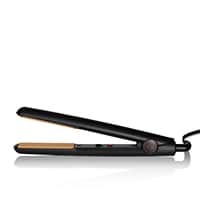 I already have god hair straighteners, but couldn’t seem to put a bounce in my hair, due to length and size. So I decided to purchase the mini styler. It heats up quickly, though I would say not as hot as my usual ones. They are suitable to give you extra body and bounce, with a curl. I really brought them to use on holiday, I just wish I read the size as they are the same length, as the standard ones. Come god please make travel ones. 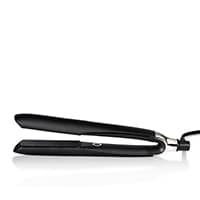 Bought these straighteners as a gift for my partner, she loves them so much. There much better than her last set. She now has shorter hair so finds them easier to use.